So, where to this time? The beautiful city of Beijing! Unlike my previous visits to this ancient city, this time I was looking forward to a more relaxed tour of the place. Or so I thought. Hang on! Why were the flight crew putting on face masks before exiting the terminal?! 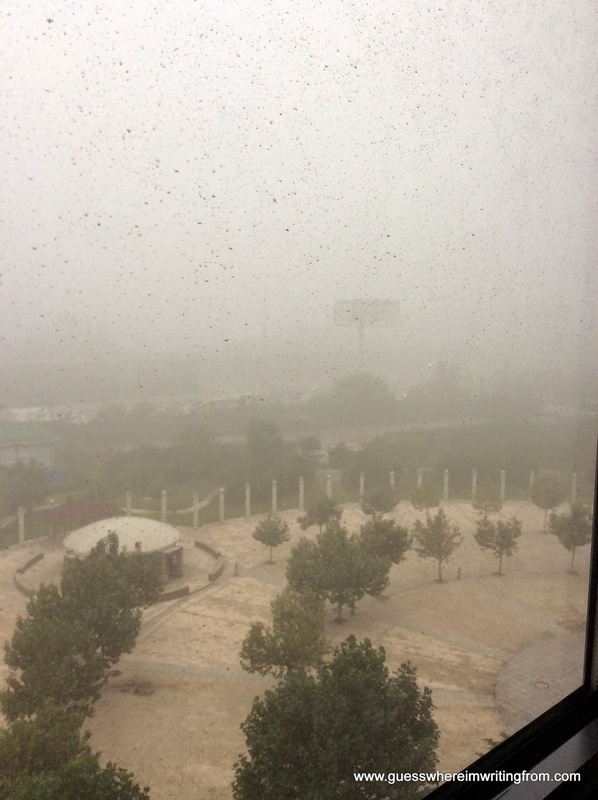 Uh-oh turns out I arrived in the middle of Beijing's infamous smog season. Thankfully the smog cleared up in a couple of days! Time to put on my trusty walking shoes. First stop, the Temple of Heaven. Located in central Beijing's southeastern part, it is easily accessible via their convenient subway system (Line 5 to, Tiantan Dongmen station. Take exit A. Turn right once at street level). You enter through the park's Eastern Gate. Entrance Fee: RMB35.00 plus another RMB10.00 for an English guide of the place. The Temple of Heaven (Tiantan) has been a UNESCO World Heritage Site since 1998. It covers an area of 273 hectares with ancient buildings scattered all over the serene, pine and cypress shaded garden. It was built during the Ming Dynasty (1420) and was used as the sacred altar by both the Ming and Qing Dynasties to offer sacrifices to Heaven and pray for good harvests. is surrounded by marble balustrades with intricate carvings. to the south where the Vault of Heaven and the Circular Mound Altar are located. twisting up looking like 9 dragons coiling to the heavens . still hear each others voices clearly. Too bad the Big K was not with me so I couldn't try it myself. used during the Heaven Worship Ceremony. the Ming and Qing Dynasties to worship the heavens during winter solstice every year. One can even have a nice picnic lunch after touring the place. The oldest shopping area of the city happens to be the latest shopping attraction in Beijing. Uh, say that again? Qianmen meaning front gate started as a commercial street 500+ years ago. It had specialty shops such as silk, jewelry, meat and much more. It was recently overhauled, in time for the 2008 Beijing Olympics becoming one of the city's latest attraction. Subway line 2, stop: Qianmen. Entrance: Free! The Archery Tower in front of the start of Qianmen street. get long lines of hungry tourists and locals alike. everyday life in ancient Beijing. The sanitized shopping area of the Qianmen hutong.